RMS-200 has an LM75 temperature sensor onboard to monitor board temperature! 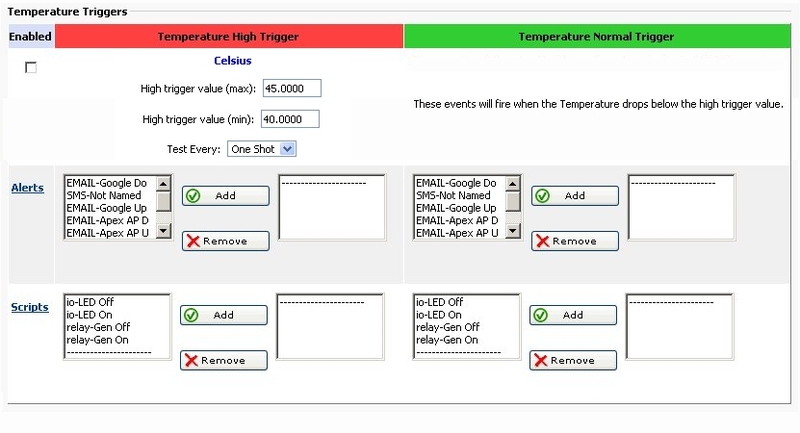 Below is a screen shot of the RMS-200 temperature setup page. Preliminary setup steps are done in this area like entering notes and choosing the temperature format. 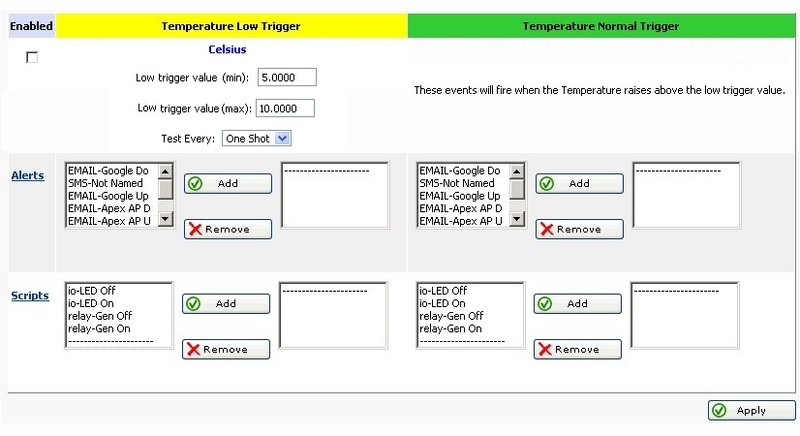 The RMS-200 web interface has High and Low triggers that can be set to fire alerts or scripts when the temperature is either too high or too low. Use the relay scripts to turn on a cooling fan for example. The High Trigger is used when the temperature rises above the High Trigger value. The Normal Trigger is used when the temperature falls below the High Trigger value. Below is the Low Trigger interface. The Low Trigger is used when the temperature falls below the Low Trigger value. The Normal Trigger is used when the temperature raises above the Low Trigger value. Below is an example of reading the temperature on the command line. Note: the file tempf contains the board temperature in Fahrenheit. The file tempc contains the board temperature in Celsius. RMS-200 is a remote temperature monitor with many features to give you the situational awareness to keep your equipment running reliably and cool!